Plant it for the bees! 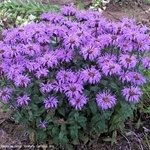 Monarda 'Blue Moon'. 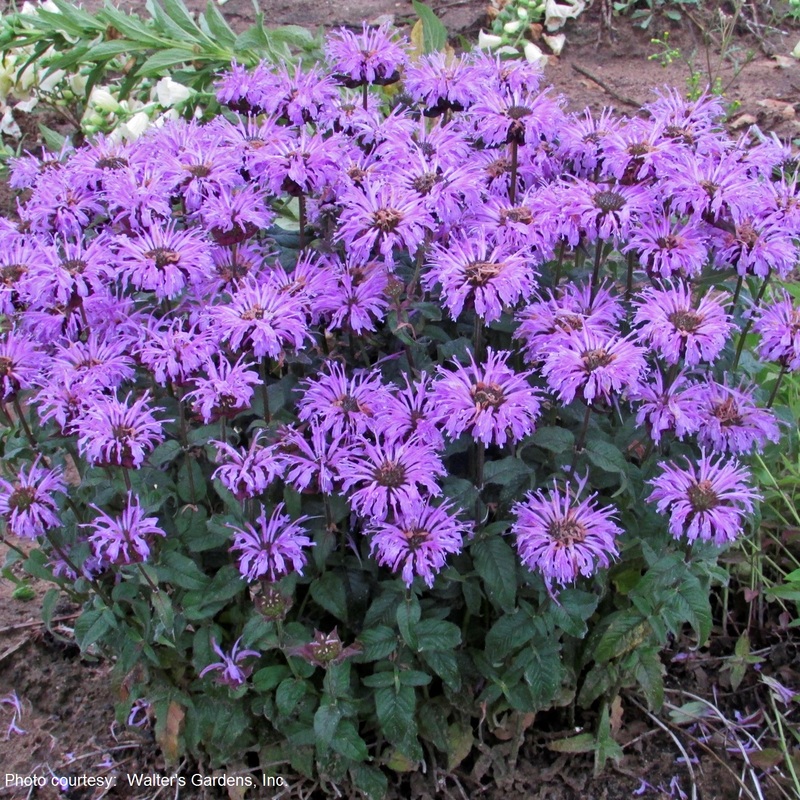 This new Bee Balm features compact disease-resistant foliage topped off with a solid dome of color with their 2-2.5" flowers on strong, well-branched stems. The shortest lavender blue to date. This beautiful perennial attracts all kinds of wings to the garden, but it is resistant to deer. SUGAR BUZZ Series. PPAF.